This Open Gap Frame press has among its features a four-post guided tool plate and shuttle table. The press is on the final assembly floor of a major U.S. car manufacturer. Phoenix bench presses range from 2 to 40 tons. 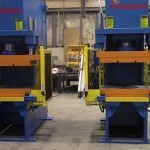 All of our presses can be customized for various options. High tonnage OGF presses are in assembly. Phoenix has standard OGF Presses up to 200 tons with a full range of options. Powerful hydraulic system drives four 100 ton presses with a single power unit. Press also features 700F heated platens. 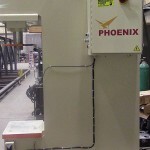 Phoenix Hydraulic Presses are designed for years of trouble-free service. 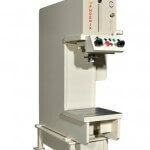 Presses are engineered with a 5:1 stress safety factor and backed with a 5 year warranty on the frame, plate, and crown. All presses go through thorough testing and inspection before shipping, including an 8 hour run test. 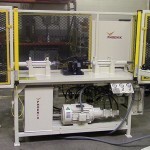 Phoenix Hydraulic engineers are proficient with the design and development of custom presses. We are well known for meeting client’s needs for the creation of customized hydraulic presses and ancillary equipment. Not only are they functional and advanced, but they feature top quality equipment for ultimate longevity and efficient production. 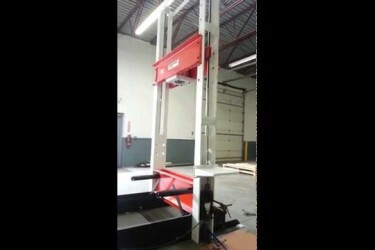 Phoenix Hydraulic will save you the hassle and money of replacing your old press equipment. 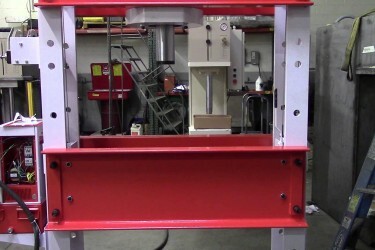 We will rebuild or upgrade your hydraulic press, no matter the original make or complexity. Our rebuilt and used presses include bench presses, air presses, and all types of hydraulic press models. Maintenance plans available. Phoenix Hydraulic will analyze your current setup and devise a plan to increase your efficiency. Our knowledgeable engineers will review your equipment to determine how it can be improved. We will then create a plan to increase press efficiency and productivity by customizing, rebuilding, or replacing your current setup.